Baghdad Island is a small spit of land in northern Baghdad that extends into the Tigris River. Baghdad Island is located north of Baghdad, bordered on one side by the Tigris river, and on three others by a lake stocked with colored fish. 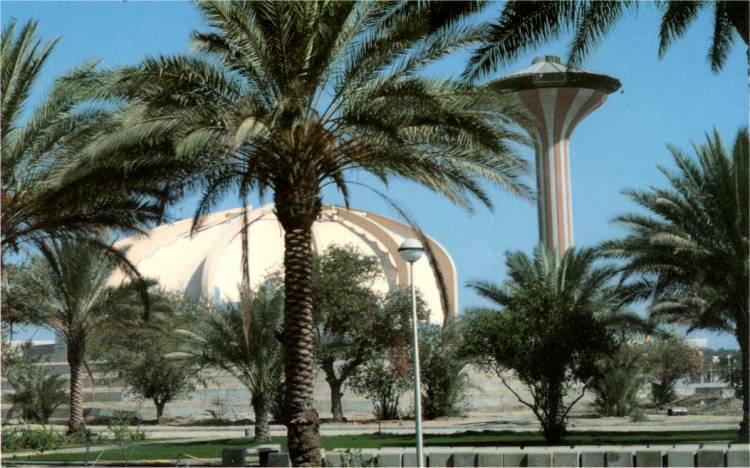 Two Finnish construction companies - YIT and Vesi-Pekka - began work on Baghdad Island in 1980. The huge recreation area outside of the capital features towers, restaurants, a bowling alley, movie theatre, amusement park, sports fields, hotel, and conference facilities. It's not Disneyland, but in its heyday, it could boast no other rival in Iraq. Baghdad Island, once Iraq's premiere amusement park, is being revived. Completed in 1982, the island encompasses 2 million square meters and once attracted 5,000 to 6,000 people every day, with attendance during holidays and special days peaking between 50,000 to 100,000. Baghdad Island (60 ha.) was developed as a Recreational Area with various activities. By major earthworks and landscaping a peaceful artificial lake was created on one side of the Island. Several leisure and entertaining facilities like restaurants, marina, amphitheatre, VIP-rest house, complete lunar park, outdoor cinema, 50 m high observation tower, casino, kiosks as well as necessary river and land transport terminals and administrative, maintenance and service buildings have been constructed on the Island. A two kilometers long earth dam (river protection) was constructed, as well as 6 bridges, internal roads, paths, water supply, sewerage and electricity networks, water intake, water and waste water treatment plants. Middle class families would come to enjoy the weekend. They would play football in the park, and tour the island on the dozens of boats - equipped with a dance floor and the loud music booming out across the water. 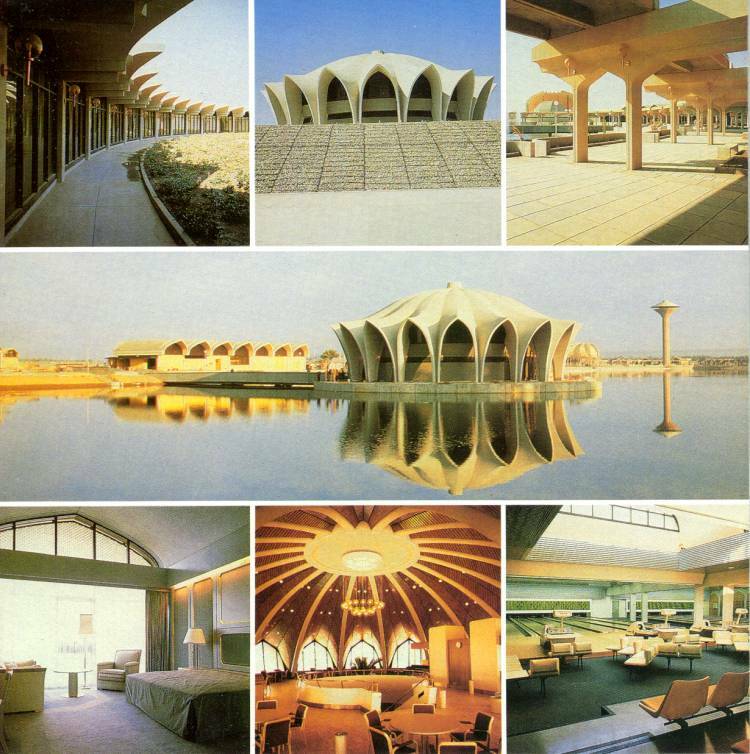 Baghdad Island's gardens, football pitches, tennis courts, restaurants, wedding halls and observation tower attracted visitors from the capital. Several days before the 2003 war, it was occupied by Iraqi army and security. One warehouse was hit by a missile strike during the fighting, but the real destruction came afterwards. When US forces entered the Baghdad area, the island was looted by civilians. Since its closure in early 2003, the island has fallen into a general state of disrepair, much of it caused by looting. Multinational force soldiers working in concert with the Ministry of Tourism and Culture take time to assess the current condition of Baghdad Island. The amusement park, which once boasted lush gardens and a five-star hotel and restaurant, is being revived for the benefit of the Iraqi people. Due to the extensiveness of the restoration project, the short-term plan is to open part of the island to the public within the next year so people will have a place to go and enjoy themselves. The revenue generated will help fund the rest of restoration, one phase at a time. This isn't just a place for families, but a place for young men and women to come and hang out. It's a place for school field trips. The people of Iraq have a history of coming to the island, many even got married here. In addition to help from the coalition forces, the Ministry of Tourism and Culture has authorized funding for five new projects at the park. When the park, located along the banks of the Tigris River, is completed, it will sport the most modern rides that can be found worldwide, a hotel and a lake with boats, to name a few of the attractions. The problem is that with most money being diverted to address infrastructure repairs in Baghdad, the island project has become a work in progress. Camp Ultimo is located at the former Baghdad Island amusement park. The gardens have become the home to soldiers of the US Army's 1st Battalion, 37th Armored Regiment, nicknamed the "Bandits". In late 2003 it was home to 1-36 Charlie Company of the 1st Armored Division. The base used to be a tourist spot called "Baghdad Island," though the soldiers have renamed it "Bandit Island," after the nickname of their regiment. There are more than a thousand troops occupying the island, including some soldiers from other battalions. The unit's area of operations is one of the largest in the Baghdad area, with a portion inside the city itself and most in rural, agricultural areas north of the city. As military encampments go, it's one of the roughest in Baghdad, maybe a three or four on a scale of one to 10. Every night, soldiers go to sleep in their hot, stuffy tents to the sound of small-arms fire. Tracers make their way in the skies above.